On Tuesday 30th August I’ll be the feature guest on the ‘History & Mystery Show’, a weekly broadcast from the online community radio station RedShift Radio, based in Crewe. My interrogator will be the estimable ghost tour guide Mr. Tim Prevett. The show goes out from 10-11pm on Red Shift Radio and can be heard for the following six weeks on the station’s Listen Again facility – only without the music. Yes, I get to choose some of the tracks played during the show, so expect classic clattery-ah post-punk-ah from Manchester-ah, beautiful driving Krautrock, and bonkers Italian film soundtrack horror-prog. Yay! As for the topics, Tim will be quizzing me on the Vampire with Iron Teeth and other stories covered in Paranormal Glasgow. 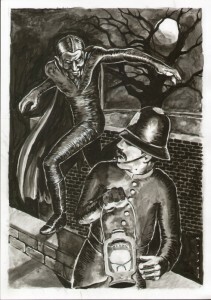 Be prepared for urban legends, crypto-Communists, monster-hunts, Spring-Heeled Jack and city hobgoblins. This entry was posted in Talks and Events and tagged Folklore, fortean, glasgow, history, Paranormal, podcast, radio, Talks and events, vampires, witchcraft on 28/08/2011 by Jamie Cook. “Sawney Bean, Christie Cleek and other Scottish Cannibals”, the next episode of my “Fortean Freak Out” podcast, is now online here, here. 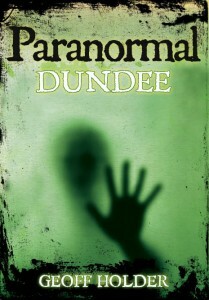 Based on an episode investigated in Paranormal Dundee, I investigate the relationship between authentic history, legend and hoax in the stories of the Scottish cannibals Sawney Bean and Christie Cleek – and come to the conclusion that a source story may be the little-known tale of a cannibal child allegedly executed in Dundee in the 15th century. It is (cough) a piece of folklore you can really get your teeth into. This entry was posted in Promotional and tagged Cannibals, Dundee, fortean, ghost, Paranormal, podcast, supernatural on 21/07/2011 by Jamie Cook. If you are unable to get to a live event to watch me wave my arms about and witter on in front of an audience, there is now an alternative – The Fortean Freak-Out with Geoff Holder, a downloadable podcast of me wittering on in front of a microphone (in the best traditions of radio, the associated arm-waving will have to be imagined). The first podcast is entitled “The Vampire with Iron Teeth” and deals with an episode covered in Paranormal Glasgow – a children’s hunt for a cannibalistic vampire in 1950s Gorbals. I expand the story into Glasgow’s wider history of children’s hunts – from ghosts and ‘maniacs’ to Spring-Heeled Jack – and look into the cultural context of the events, from American horror comics to crypto-Communists and the only time the Houses of Parliament have debated the activities of a vampire. The podcast can be downloaded FREE from the official Fortean Freak-Out with Geoff Holder page, or alternatively listen through the Podcast page. The Fortean Freak-Out will be a regular feature, so check back for future podcasts on cannibalism in Scotland, fairylore, Jacobite paranormalism, bodysnatching, poltergeists and much else. Thanks to Jamie Cook for editing and engineering. This entry was posted in Messages from Geoff and tagged Big Cats, Folklore, fortean, ghost, glasgow, Haunted, Paranormal, podcast, vampires on 16/07/2011 by Jamie Cook.